THERE was a time here in the Northeast when surf-casting fishermen flung skate on the beach to die. Stupid, yes, and even tragic, but it was considered a “bait stealer,” and got in the way of catching the more challenging and beloved striper. Then we discovered that skate was good to eat — at least as good as striper — and within a span of just a few years, skate became scarce. Not only is it no longer littering Atlantic beaches, but it is also no longer stealing bait. In fact, it is no longer around much, and stores like Whole Foods are pledging not to carry the fish until the stocks recover. So it didn’t surprise me when, right after thanking me for teaching her how to prepare skate, a colleague complained that she could no longer in good conscience eat it. And in the way things sometimes happen, I found myself in an odd kind of skate-cooking situation — sans skate — the next night. I was in a poorly equipped kitchen, one that had only a stove, refrigerator, sink, cutting board, strainer, tongs, boning knife, plastic mandoline, 10-inch skillet, two-quart saucepan, olive oil, one lemon, cucumber, celery, whole wheat couscous, a tiny jar with some capers packed in vinegar, garlic — and a gorgeous piece of halibut. Salt and pepper, yes, but that was really it. Oh, and three plates and silverware. Each of these things came into play, in odd fashion. To use the mandoline and the lemon and oil to make a salad of the cucumber and celery was a no-brainer. The couscous/halibut concoction was a little more challenging, because I wanted both of them to be skillet-ized, and unless I wanted halibut steamed on a bed of couscous (which doesn’t sound that bad, really) the work would have to be sequential. So I cooked the couscous in the pot, and then drained it. I sautéed it in olive oil and garlic (mined with a boning knife, a real pain), until it dried out a bit; then poured it onto a plate and kept it warm while I turned to the halibut. I must say there is something wonderfully and intrinsically easy about a thick piece of fish: you want to cook it through, unlike most meat, so you can sear it really, really hard on both sides, fearlessly, until it browns so beautifully you’ll impress yourself. At that point, it’s probably done (a thin-bladed knife will meet little resistance when you poke it in there), and it can be kept warm for a few minutes. That’s what I did, transferring the fish to one of my two remaining plates. 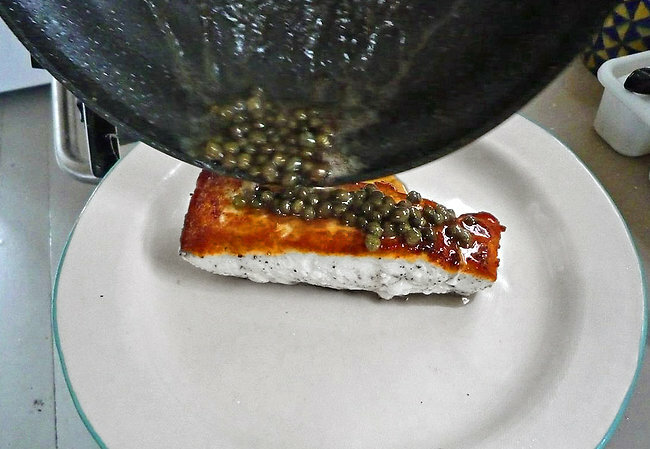 Into the leftover pan juices, I splashed a little more olive oil and the capers with their vinegar. (Butter, I admit, would have been better — or at least more in the spirit of skate au beurre noir — but I had no butter.) I dressed the fish with the sauce and added a squeeze of lemon juice for freshness. I served my companion on the remaining unsullied plate; I ate from the one with the remaining halibut. No, it wasn’t skate, but it was a fish you could eat in decent conscience, and it was delicious. After spending another morning in the coolers on Thursday morning, I made my way over to 3 Son’s Lobster just down the way on Commercial Street in the early afternoon to help cull Lobsters for Browne Trading Company and other local perveyors and restaurants. The shell remains soft for only a few hours after the crab has molted, making timing just about everything for this industry, located mostly on the central Atlantic coast and most famously in Chesapeake Bay. But the crabs ship well and are available nationwide right now. 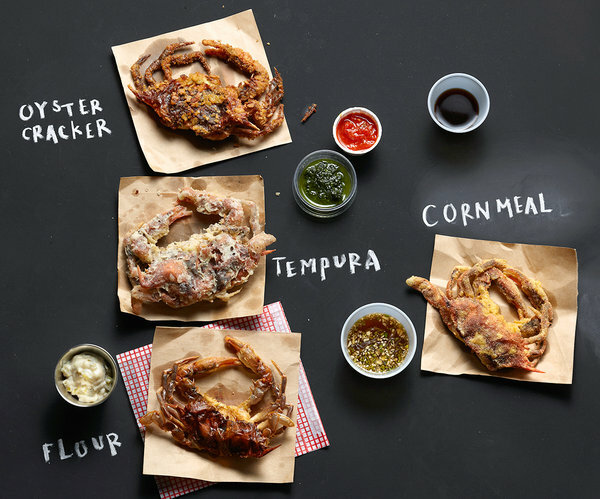 Most soft-shell crabs you see at the market are ready to cook. This may not be the case if you’re buying them from a real fishmonger, in which case you should ask to have them cleaned. At that point, I’d cook them within 24 hours; if you want to keep them longer than that, buy them live and clean them yourself. But there’s no denying that a fried or pan-fried soft-shell is a beautiful thing. Keep the coating simple (again, my tendency is to keep it really simple and dredge the crabs in nothing but cornmeal), and fry or sauté quickly, in good oil or butter. Do not overcook. When the crabs plump up and become firm, they are done, and — unless your heat is too low — this cannot possibly take as long as even eight minutes; if you’re deep-frying, three or four minutes will do. Any of the coatings here — with the possible exception of tempura, which is almost always deep-fried — will work whether you’re deep- or shallow-frying. Now we come to the issue of sauces. It may not sound that exciting, but the majority of the time, I serve soft-shell crabs with just lemon wedges and parsley; there is nothing better. There is, however, different. And some of the best are here: cilantro “pesto,” ponzu sauce, a simple homemade tartar sauce. There are other possibilities also: soy or miso dipping sauce, chimichurri . . . very few sauces would not work, though I do think the best feature is very upfront acidity. Heat a charcoal or gas grill or a broiler until moderately hot; put the rack at least 4 inches from the heat source. Grill or broil crabs for 3 to 4 minutes per side, basting occasionally with melted butter (spike it with Tabasco or whatever else you like) or olive oil (good with garlic and herbs). Finish with lemon juice and freshly chopped herbs. Put at least 3 inches of oil in a large, deep saucepan over high heat; you want the oil to be about 350 degrees. (If you don’t have a thermometer, drop in a small cube of bread; when the bread sinks halfway and then bubbles to the surface, the oil is ready.) Prepare a coating (recipes follow). One at a time, dredge the crabs in the flour mixture (dipping them in an egg mixture first if necessary), then fry (probably in batches) until golden, about 2 minutes total, turning once. Drain on paper towels. Put about 1⁄4 inch oil, butter or a combination in a skillet. 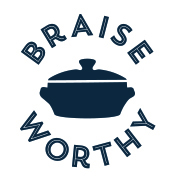 (Even better is clarified butter.) Prepare a coating. When the fat is hot (a pinch of flour will sizzle), dredge the crabs in the flour mixture (dipping them in an egg mixture first, depending on the coating you choose), and sauté. When the bottoms are nicely browned, 3 to 5 minutes, turn, and brown the other side. Drain on paper towels. All coatings are adequate for at least 4 crabs. Add salt and pepper in every case. Put a mound of all-purpose flour or cornmeal on a plate (you can add a big pinch of cayenne if you like). 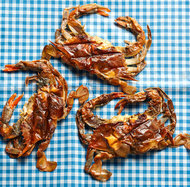 Dredge the crabs and fry or sauté. Beat an egg with 1 cup milk in a bowl. On a large plate, combine 1 cup cornmeal, 1/2 cup all-purpose flour and 1/2 teaspoon cayenne. Dip the crabs in the egg mixture, then dredge well in the cornmeal mixture and fry or sauté. Beat an egg with 1 cup milk in a bowl. On a large plate, combine 1 cup all-purpose flour with 1/2 teaspoon cayenne. On another plate, put 1 1/2 cups ground oyster crackers or saltines (a food processor makes short work of this). Dredge the crabs first in the flour, then dip in the egg mixture, then dredge in the crackers and fry or sauté. Lightly beat 2 cups ice-cold water with 3 egg yolks and 1 1/2 cups all-purpose flour in a large bowl. (The batter should be lumpy and thin; don’t overmix.) Put about 1 cup of loose flour on a plate, and one at a time, dredge the crabs in flour, dip them in the batter, then fry until golden, less than 5 minutes total. Drain on paper towels. Makes enough for at least 4 crabs. Salt and pepper, please. Film a small skillet with olive oil; heat and add a chopped onion; cook, stirring occasionally, until soft, about 3 minutes. Add 1 pound chopped canned or fresh tomatoes (along with some fresh oregano or marjoram if you have it), and cook until the mixture breaks down, 10 to 15 minutes. Stir in 1/2 cup chopped fresh parsley or basil leaves. In a bowl or food processor, whisk together 1 egg yolk, 1 tablespoon vinegar or lemon juice and 2 teaspoons Dijon mustard. Add 1 cup neutral oil, a few dribbles at a time, adding more until it’s incorporated. When a thick emulsion forms, add the remaining oil a little faster. (This process will take about 5 minutes by hand, 1 minute in a food processor). Stir in 1/4 cup chopped shallot or mild onion and 1/4 cup chopped cornichons or other pickles. Combine 2 cups loosely packed cilantro leaves, 1 clove peeled garlic and 3 tablespoons neutral oil in a food processor. Pulse several times. Stop, scrape the sides, add 1 tablespoon lime juice and blend. Add water as necessary to purée. Combine 2 tablespoons lime juice, 2 tablespoons fish sauce, 1 teaspoon minced garlic, 1/4 teaspoon minced hot fresh chili, 2 teaspoons sugar, 1 tablespoon minced dried shrimp (optional) and 1 tablespoon finely shredded carrot (optional). Stir until the sugar dissolves. Combine 2/3 cup lemon juice, 1/3 cup lime juice, 1/4 cup rice vinegar, 1 cup soy sauce, 1/4 cup mirin (or 1/4 cup sake and 1 tablespoon sugar) with one 3-inch piece kelp, 1/2 cup dried- bonito flakes and a pinch of cayenne. Let sit for at least two hours; strain before serving.